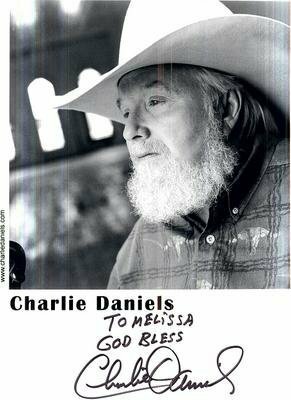 Once again Charlie Daniels speaks his feelings and once again he is right on the money. Charlie needs to be writing for a major news magazine. The truth of the matter is that this operation is under a microscope. The Red Cross has an on site presence there and watches everything that goes on very closely. The media is not telling you the whole truth about what's going on over there. The truth is that these scum bags are not only being treated humanely, but they are probably better off health wise and medically than they've ever been in their lives. They are fed well, able to take showers and receive state of the art medical care. And have their own Moslem chaplain. I saw several of them in a field hospital ward where they were being treated in a state of the art medical facility. The next time you read a media account about the bad treatment of the Taliban in Cuba, remember what I told you. Been there, done that. P.S. Please consider sending this to everyone you can...the truth needs to be told.